Supra Alloys stocks a large and varied inventory of titanium mill-product forms such as plate, sheet, coil, strip, foil, billet, bar and wire. Our material is of prime quality and is fully certifiable to orthopedic (ASTM F-136, F167 and F1472), aerospace (AMS, Mil-T) and industrial specifications (ASTM and ASME). Supra Alloys has experienced operators that deal with complex operations such as titanium machining and titanium processing. 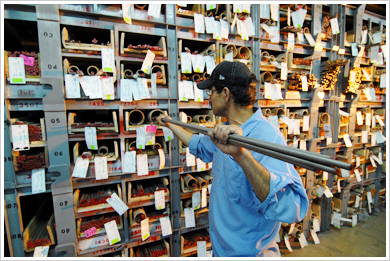 Supra Alloys is committed to the highest level of customer service. Our material is of topmost quality and we constantly renew our stock in order to meet customer requirements. Supra Alloys also provides in-house product services such as shearing, saw cutting, chem.-milling, slitting and water-jet cutting. For more information on our extensive titanium and titanium alloys inventory, please contact us or fill in the request a quote form and a dedicated member of our team will promptly assist you with your queries.